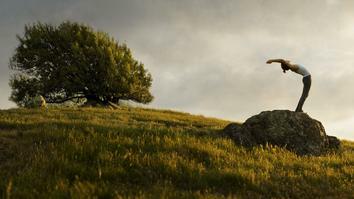 The term ‘vinyasa’ means to place in a special way, with poses (asana) linked seamlessly from one to the other. These intermediate/advanced vinyasa flow yoga practices from the Life Centre’s Alessandra Pecorella use dynamic hip openers and deep backbends to release long-held tension patterns within the body. Find your physical, mental and emotional strength as you work deeply into the core of the body, leaving you feeling renewed, revitalised and ready for new beginnings. The fluidity of breath and movement helps restore the natural rhythm of the breath and heart pulse, inducing a state of coherence between heart and brain waves. 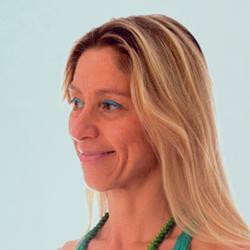 Alessandra has been living and breathing Yoga and Ayurveda since she was a young teenager and for more than 28 years. New Beginnings is a dynamic yoga vinyasa series for opening the hips and practicing back-bends with The Life Centre's Alessandra Pecorella. To enjoy New Beginnings , you need to join Conscious Life. By registering for a 14-day free trial you will also have complete access to the entire platform via our website and mobile applications. After 14 days paid membership will begin and you can easily cancel at any time in by logging in and going to www.consciouslife.com/my-account.